This PDF 1.5 document has been generated by / fCoder PDF producer, and has been sent on pdf-archive.com on 13/09/2015 at 14:48, from IP address 89.219.x.x. The current document download page has been viewed 358 times. File size: 5.4 MB (3 pages). producers and manufacturers in main industries. presented powerfully by “tmpco” nowadays. port” sweet water complex. 5-“Takestan” steel complex. 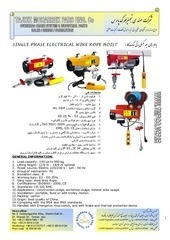 industries and prepare and sales industrial equipment in Iran markets. equipment as per zone I, II. 4. Including height quality equipment and hi-tech instrument. technical goods, equipment and spare parts quickly. pillar jib cranes and wall mounted jib cranes up to 100 tons. industrial parts in condition of serialize and lot of producing. 15020, AWS, FEM, AISC and ASME …. hoists., Saddles, end-carriages, trolleys for overhead and gantry cranes. 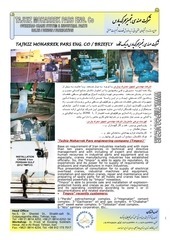 double girders, gantry, suspension and jib cranes, light systems cranes. Manual chain hoists, chain blocks, level hoists, manual chain trolleys. connections joints, accessories joints, supports arms. Explosion protected festoon systems. supports arms. Explosion protected contactor lines systems. conditions, all ranges of temperature and humidity. Frequency inverters and related equipment for lift motion cross and long motions. Motions limiters: all kind of anti-accident sensors, lifting limit switches, micro switchers. Crane runway rails: A series, square sections, clips for A series, under-rails pads. warning devices, emergency stop switches…. braked motors and geared motors. This file has been shared by a user of PDF Archive. Document ID: 00301071.